Need English tutoring for your college term paper? Or is your child struggling with writing and reading assignments? Let's get started figuring out what help you need and where to find it. I've incorporated a database of 40,000 verified professional tutors into this site. All you have to do is enter subject and zip code, find the tutors you like, and email a few. Get started right now! Are you an English tutor? Click here for my 10 top tips on tutoring writing. Step 1: What Kind of Help Do You Need? English is a broad topic. Try to narrow down to specific trouble spots. Are you having trouble with academic reading? Are your papers disorganized, too sparse, or poorly focused? If writing is a problem, try to pinpoint exactly what part(s) of the process cause trouble. * Low-income families may qualify for free tutoring resources. For example, 826 Valencia is a nonprofit that offers tutoring and other help for students. The downside of free tutoring is that you may not get what you need. Volunteer tutors may have many other commitments, be poorly trained, or be unable to provide long-term assistance. Tutoring centers on college campuses tend to offer limited session times. Professional help may be the better solution. If you want the best English tutoring, look for someone with a BA or Master’s degree in English (or Writing or Composition) and a year or two (minimum) experience teaching or tutoring. Of course, people with those qualifications are often teaching their own classes, so they can be a little tough to find—and you’ll have to lure yours with competitive fees. A respected tutoring center in your area will be able to locate some good English tutors. How much will it cost? Click here for my tutoring rates page. Learn more about how to hire a good reading tutor. Here's my favorite reading program for young children. College students, especially English majors, may be a good source of academic support. They’ll charge less than a top-notch writing or reading tutor, and some are no doubt future teachers with a knack for helping others. A college junior or senior who has written a lot of “A” term papers can help most K-12 students and first- or second-year college students. But bear in mind, even advanced college students are not experts (yet) and likely have no teaching experience. Peer tutors are another possibility. You may be able to find a peer to help you with English while you help him or her with math. You could also join a peer study group. Online tutoring is another option. Click here for more information about online tutors. 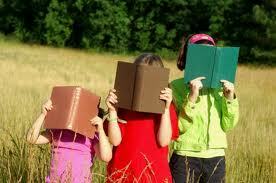 Reading help: visit my page on getting the most from a reading tutor. Link from English Tutoring to my insider page on getting the best writing tutor.